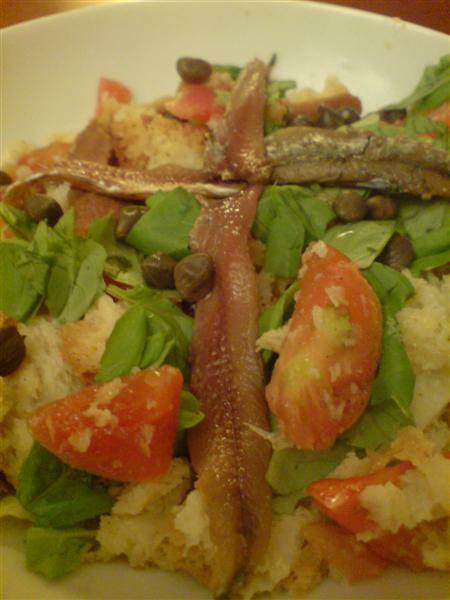 Panzanella Laziale. There are probably as many versions of this dish as there are cooks in Italy. This one comes from Lazio. Panzanella is a great way to use up stale bread. Soften the bread with a little water and tear into smallish pieces. 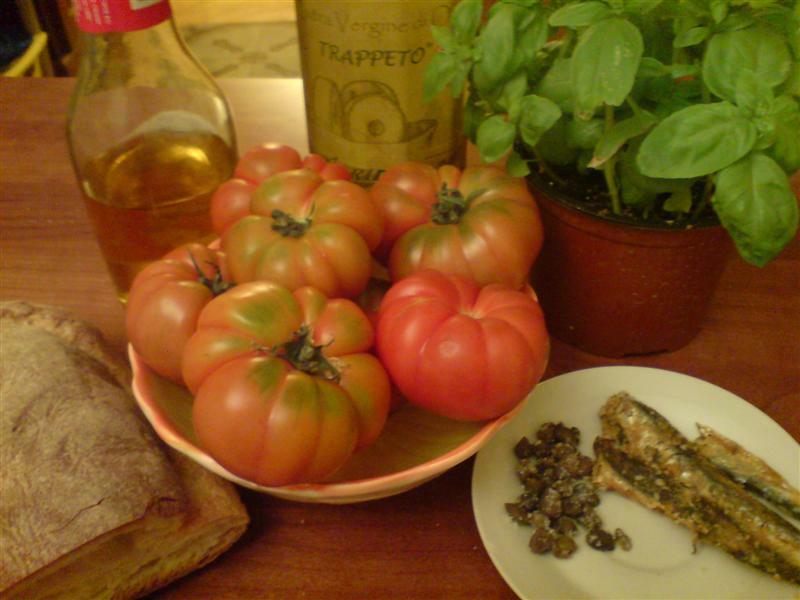 Mix together the bread, basil, tomatoes, capers and anchovies. Dress with olive oil and a little vinegar (if the capers are in vinegar don’t add any extra). Leave for 30 minutes to allow the flavours to develop and serve. Variation: Leave the slices of bread whole and serve topped with the rest of the ingredients.